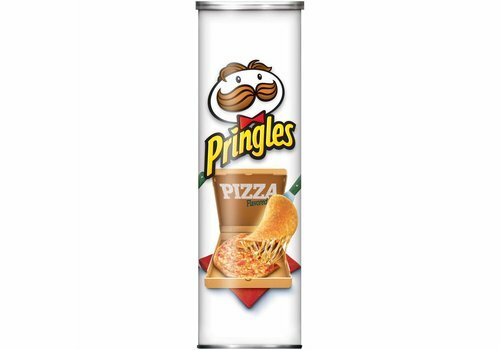 Pringles is an American brand of potato and wheat-based stackable snack chips. 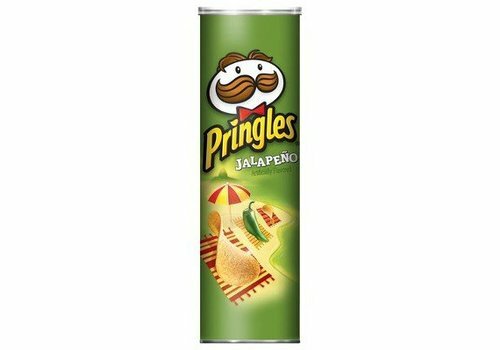 Originally developed by Procter & Gamble (P&G) in 1967 and marketed as "Pringle's Newfangled Potato Chips", the brand was sold to Kellogg's in 2012. The consistent saddle shape is mathematically known as a hyperbolic paraboloid. 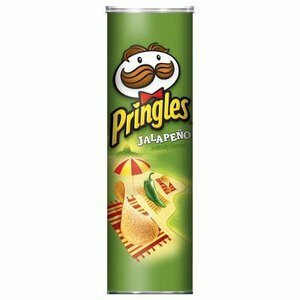 Their designers reportedly used supercomputers to ensure that the chips' aerodynamics would keep them in place during packaging. Potato crisps with ranch flavour. 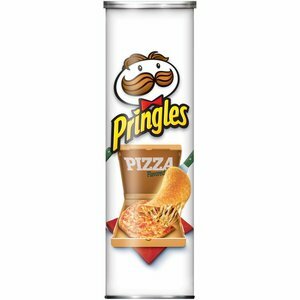 Potato crisps with pizza flavour.